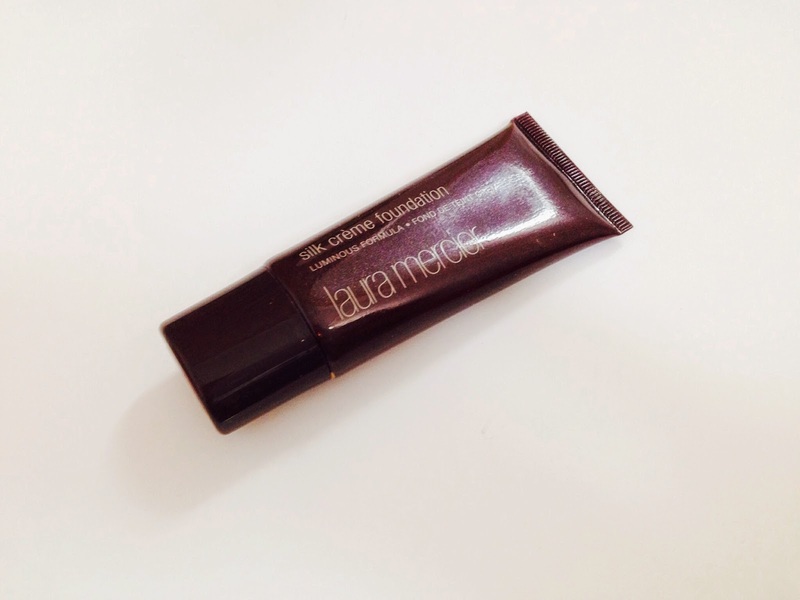 It's that time of the week again - and this weeks Foundation Friday will be all about the Laura Mercier Silk Creme Foundation. One of my favourite foundations ever, and probably as close to holy grail status as I've been able to get so far in terms of foundation. Never was there a foundation that I wanted to try more than a Laura Mercier one. Seriously, when I went to the States last year, this was the first foundation on my list. I didn't even care about the price! I had heard so much, and seen so many reviews and swatches, and see how gorgeous it looks on the skin that I knew I would love it from the moment I locked eyes on it in Sephora. You guys voted this in this week - so read on to see a full review on one of the best foundations available (in my opinion - or everyones, whatever)! First of all, packaging - its a burgundy, slightly shimmery tube, with white lettering. It's a squeeze tube, so it doesn't have a pump, which means it is a little hard to determine how much will come out. Especially since this is a foundation where a little goes a long way, it would be handy to have a pump. But beggars can't be choosers. This is a mousse formula, really thick, but easy to blend out. As for the coverage - this is super duper high coverage. It is not what I would personally call an everyday foundation, purely because of how much coverage it gives. You really only need the smallest amount to cover your entire face and achieve that full coverage, bur you do need to be careful as if you overstep that line between just enough product and too much product, you are possibly going to be a cakeface. In saying that, despite the fact that it is high coverage, it has this gorgeous luminous finish to it. Its not matte or completely dewy, but my skin always looks healthy and fresh when I wear this. I love how easy it is to make my skin look absolutely amazing, and in photos too! I always wear this when I go out clubbing with friends or to an event that I know I will be photographed because it looks that great on. As you can see, it covers my sore, my veins and any other imperfections that I may have - but it still looks like skin. I just adore this foundation. It's very high up there in my foundation ranks, and I would highly suggest that if you are after a full coverage foundation (whether it be for everyday, or for special occasions) that gives you a glowly, radiant finish, that you give this one a go. I could go on for days about how beautiful it looks on, but really you just have to try it for yourself. Plus, the fact that you barely need any to cover your face means that it will last forever and ever. Also, because this was a late post (my bad), there will be FOUR blog posts this week. I just purchased this bad boy! So keen to give it a test! I really want to try this, great review! I love your blog and I have followed you with Bloglovin, if you ever get a chance to check out my blog I would be delighted. Thanks! Love this review, I've been meaning to pick this up but not sure which shade which shade do you have? Loving seeing all these foundation posts! This seems like such a great products. Atleast for days when I need serious coverage. Great post! Definitely want to try this one out! I love the radiant primer!